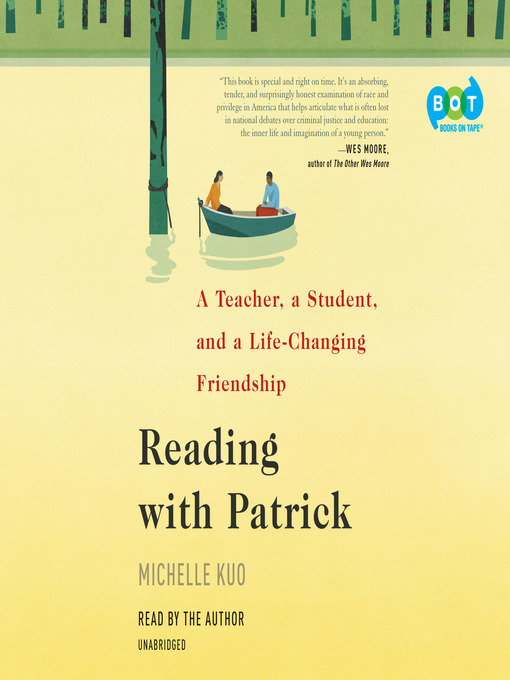 Convinced she can make a difference in the lives of her teenaged students, Michelle Kuo puts her heart into her work, using quiet reading time and guided writing to foster a sense of self in students left behind by a broken school system. Though Michelle loses some students to truancy and even gun violence, she is inspired by some such as Patrick. Fifteen and in the eighth grade, Patrick begins to thrive under Michelle's exacting attention. However, after two years of teaching, Michelle feels pressure from her parents and the draw of opportunities outside the Delta and leaves Arkansas to attend law school. Then, on the eve of her law-school graduation, Michelle learns that Patrick has been jailed for murder. Feeling that she left the Delta prematurely and determined to fix her mistake, Michelle returns to Helena and resumes Patrick's education—even as he sits in a jail cell awaiting trial. Every day for the next seven months they pore over classic novels, poems, and works of history. Little by little, Patrick grows into a confident, expressive writer and a dedicated reader galvanized by the works of Frederick Douglass, James Baldwin, Walt Whitman, W. S. Merwin, and others. In her time reading with Patrick, Michelle is herself transformed, contending with the legacy of racism and the questions of what constitutes a "good" life and what the privileged owe to those with bleaker prospects.